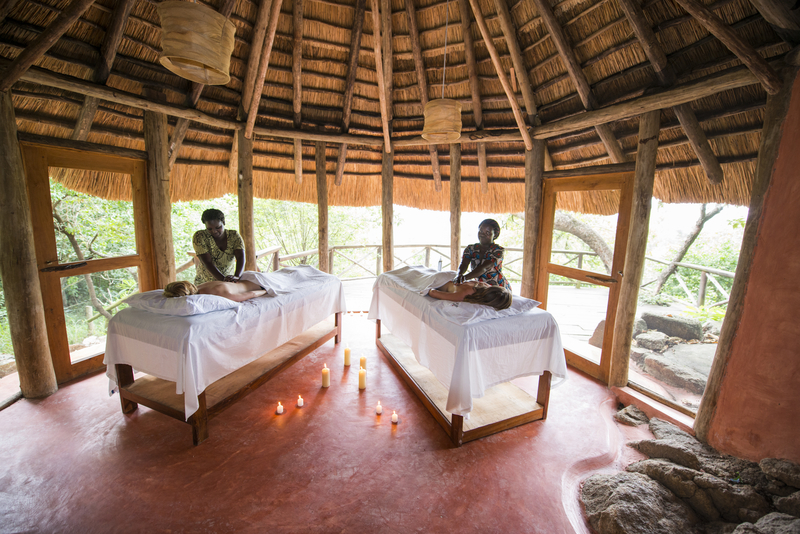 Set against a stunning backdrop of Lake Kyaninga and the legendary Mountains of the Moon beyond, Kyaninga Lodge is the spectacular result of one man’s vision and six years of unwavering commitment to creating an experience of Africa’s beauty unlike anything else. Kyaninga Lodge has eight cottages built on platforms and set apart to offer privacy and tranquility. Access to the cottages from the main lodge is via a raised wooden walkway. Each spacious cottage is beautifully appointed with a choice of twin or double beds made up with the softest bedlinens and feather pillows. 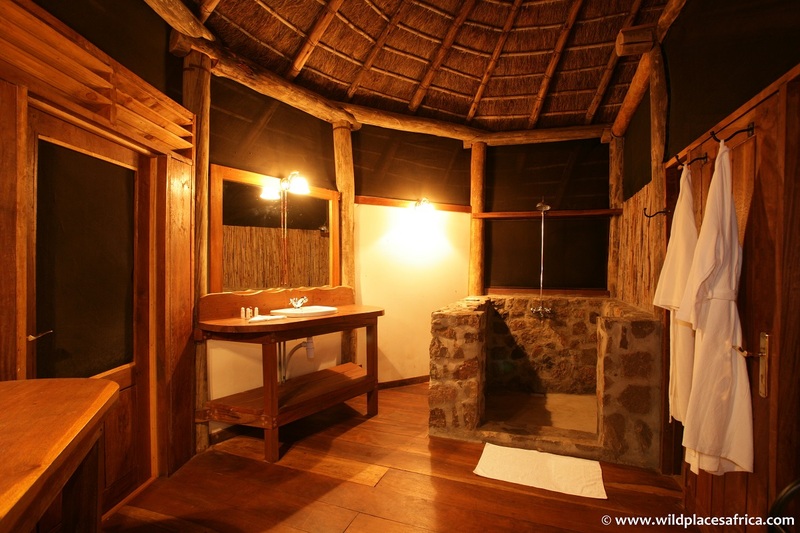 The en suite bathrooms boast marble countertop basins set atop beautifully crafted Elgon Olive pedestals, claw footed freestanding baths, and glass walled showers and plenty of hot water from solar water heaters. Lighting in the cottages is also solar powered, and each cottage features an electrical socket for the charging of laptops and other appliances, providing the comforts of home in an extraordinary setting. Extra beds, hypoallergenic pillows and bedding are available on request. 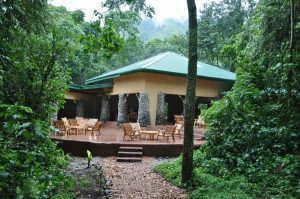 Kyaninga lodge offers comfortable seating areas set around an imposing double-sided open fireplace where one can enjoy a cozy evening over a good book, a board game or a drink from the bar. The main building also houses the restaurant, where delicious meals compete with stunning views on both sides. Two raised galleries offer intimate spaces for those wishing to absorb the panorama in a more private setting. On the lake side, the main lodge leads to two decks furnished with comfortable loungers, while steps hewn from local volcanic rock lead down to the swimming pool and on to two lawned terraces overlooking the deep blue water and primeval forest of Lake Kyaninga itself. For those not quite wishing to really get away from it all, wireless Internet access is provided throughout the main lodge building. 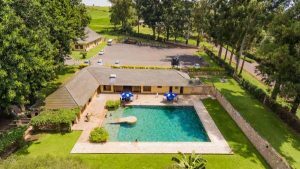 Located on Plot 2 Laggard Road next to golf course in Fort Portal town, Fort Motel location allows visitors to discover balance, calm and wellness in a tranquil oasis that refreshes the body and spirit. Fort Motel has modern, stylish guest rooms with an array of amenities to make you feel at home. Standard rooms. The different accommodation rooms in the hotel range from standard, deluxe to suites. All the rooms are modern, spacious, and comfortable with a double king-size bed, with large windows which brings in fresh tropical air. The shared living room features a fireplace, and plush sofas where you can host friends and relax after a long day of activities around Fort Portal. The other room’s features include a TV, mini-fridge, executive desk, all tastefully decorated with comfort at your fingertips. The hotel’s lovely restaurant features sumptuous buffet delicacies and wonderful contemporary menu and the expertly trained chefs in the Motel do an excellent job of serving both continental food. Business travelers won’t have to make their bedroom their office. The Motels’ capacious living rooms feature a desk and are an ideal place to hold small meetings or socialize with coworkers. The superbly located and appointed Hotel Cornerstone is a popular Fort Portal Hotel with international tourists and business travellers alike. 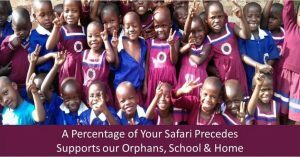 The hotel is ideally placed to meet the needs of all travellers offering very attractive rates for accommodation and great value services. 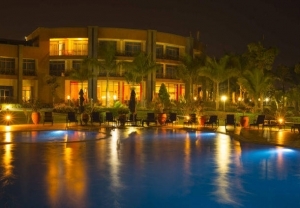 The hotel offers 24 elegant and comfortable rooms equipped with excellent facilities. Each room is designed and furnished uniquely for variety. All rooms have a mini bar, high quality furniture and a private balcony with a panoramic view of the smoking Rwenzori Mountains. 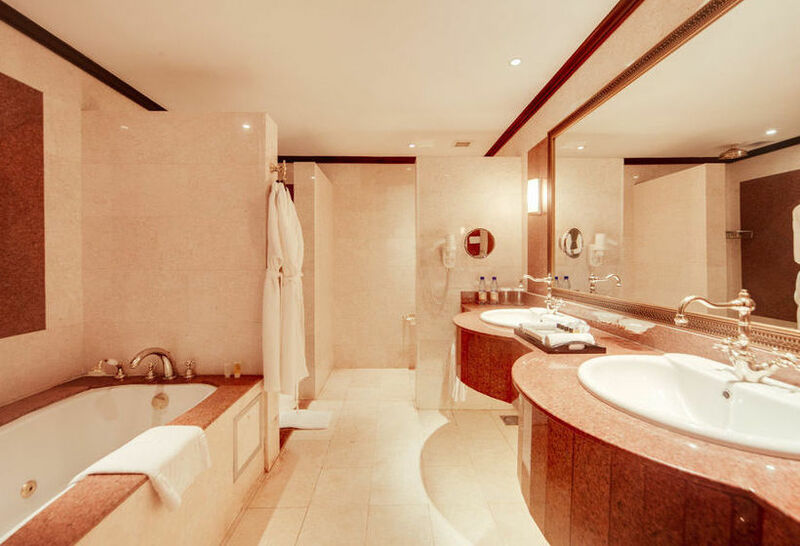 For ultimate comfort rooms are equipped with satellite television, multichannel piped music for your entertainment, telephone and a private digital safe for the protection of your valuables. Hotel Cornerstone is suited for meetings, seminars, conferences, retreats and training workshops. The main conference hall is fitted with state of the art sound system with collar microphones making discussion and presentations enjoyable. Spanning on 15 acres of land, Mountains of the Moon Hotel is 4 star hotels located within walking distance from Fort portal town Centre. Mountains of the Moon is ideal for travellers seeking for a quiet environment, honey mooners, family get-togethers, wedding parties and receptions, luncheons, dinners and workshops. The hotel has 33 fully appointed rooms with distinguishing features characterized with sleek hand curved furniture in natural woods. This simplistic yet charming décor is both practical and cozy, making it the perfect choice for the business traveler, tourist and families. Other amenities include a well-designed wellness Centre and swimming pool, restaurants featuring fusion cuisine and an exclusive bar offering only world class wines and award winning beers. 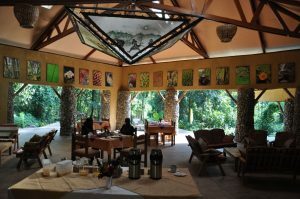 The hotel restaurants is designed to offer scenic views of the lush green gardens and is over looked from the gallery lounge area. 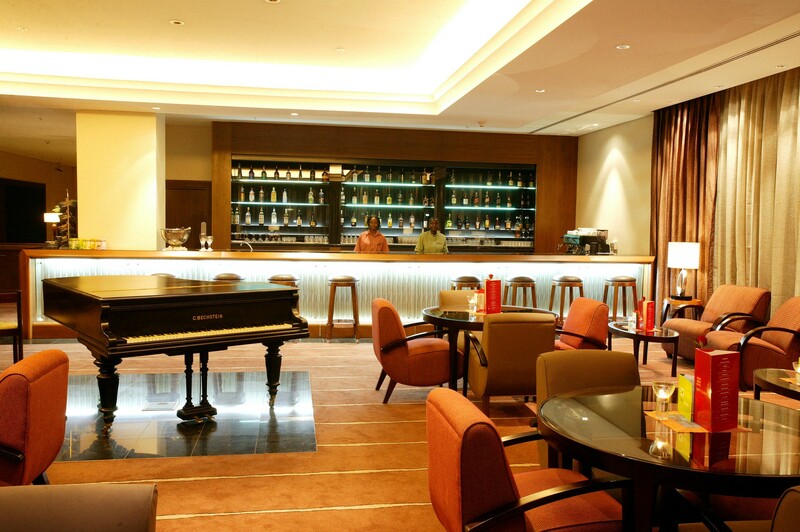 The hotel’s bar area provides a wide range of assorted drinks from both local and international brands. Guests can also enjoy meals in the outdoor dining area that overlooks the swimming pool. Additional facilities include three modern conference rooms providing the perfect environment for conducive meetings (from 10 to 300 people). The hotel also has a dedicated business Centre for visitors without laptops to ensure even when on a weekend escape visitors are able to keep in touch. Stable electricity and maximum security. Car hire, city and airport shuttle services. 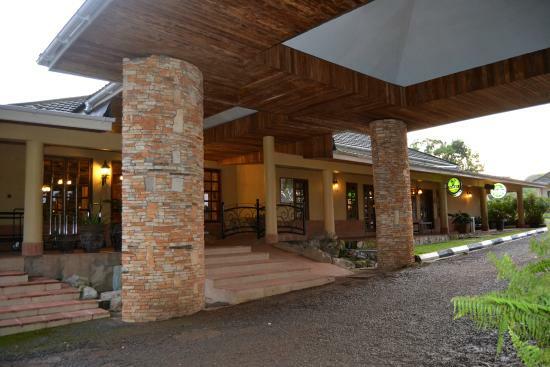 Conveniently situated in Boma, a lush, green suburb of Fort Portal town, the Guest House is within easy walking distance of the bustling local market, the post office and the Fort Portal town center. 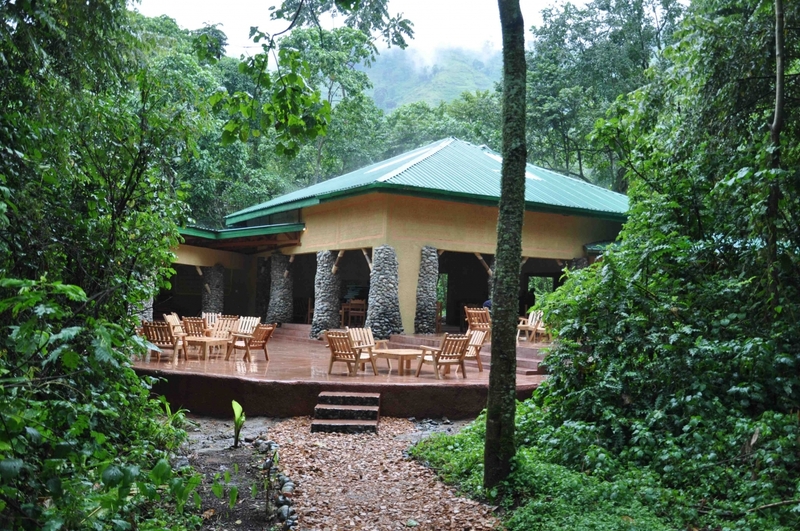 It is a comfortable, homely, family-run guest house strategically set within the backdrop of the breathtaking Rwenzori Mountains. The guest house was Purposely-designed by a Swiss architect and started by a Dutch / English couple. The guest house has six comfortable rooms which are self-contained and one family room en suite. All rooms have comfortable beds, separate bathroom, own private veranda, emergency lightening. 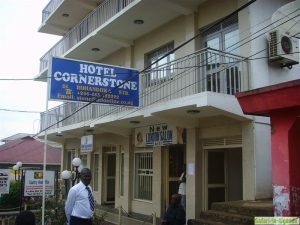 Rwenzori Travellers Inn is centrally located in Fort Portal town close to transport services and tourist shopping facilities. The hotel is meeting point for both business and pleasure seeking travellers travelling to Fort Portal. 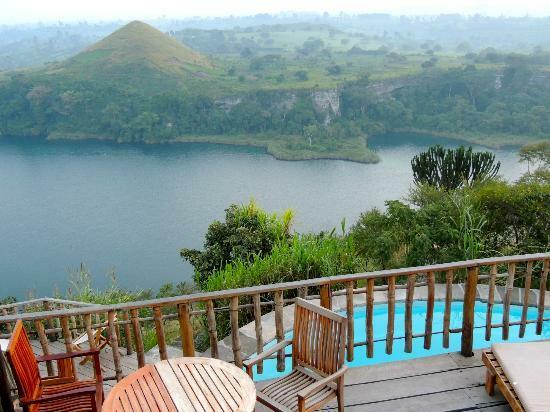 The hotel’s terrace bar/restaurant on the upper floor supports views over Fort Portal town. Visitors are welcome to order from our ala carte or snacks menu. 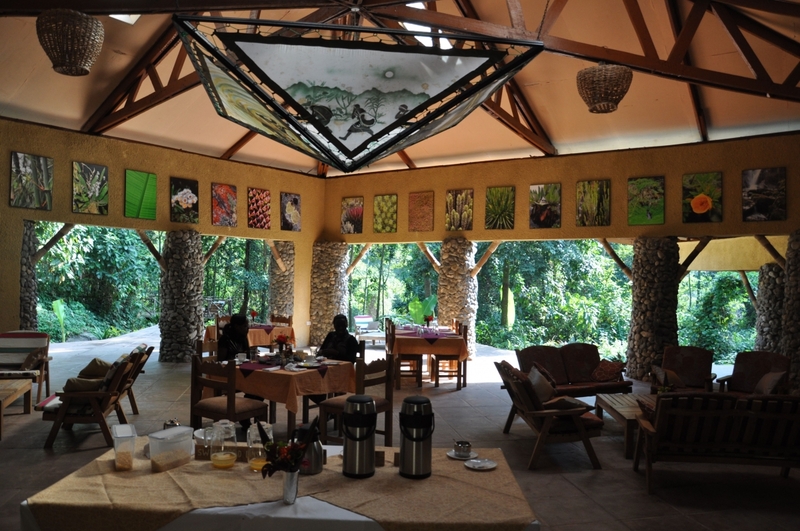 The street level terrace restaurant and bar is popular with visitors passing through Fort Portal and a great rondezvous point. Meals are served till late and snack at short notice. The hotel has its own conference facility with supporting communication tools for the success of your conference.